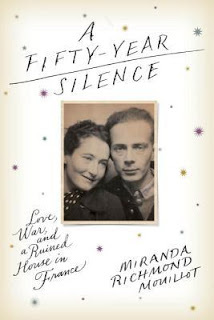 A Fifty-Year Silence was one of those books that at first, intrigued me incredibly. I loved the story, the characters, but as the book wore on, I began to be wary of them. I stopped liking them the further into the book it went. I understand that this book is based on a true story, but there was just so little towards the end to keep my attention. Nothing is really solved, I didn't feel a weight lifted off me at the end to have learned the truth, it just ended. And I guess that's how life really is sometimes, but after pouring through page after page, it was just a little bit of a let down. A fantastic book for those who are historically inclined, but a bit of a disappointment story-wise. *I received this book from Blogging For Books, the opinions are my own.